GET FREE ACCESS TO THE 10 ESSENTIAL NURSING QUESTIONS. Learn highly sought after & lucrative skills healthcare wants now! "We cannot change the nursing culture without changing the nursing consciousness"
The union of the ancient wisdom of Yoga with the science of modern Nursing. 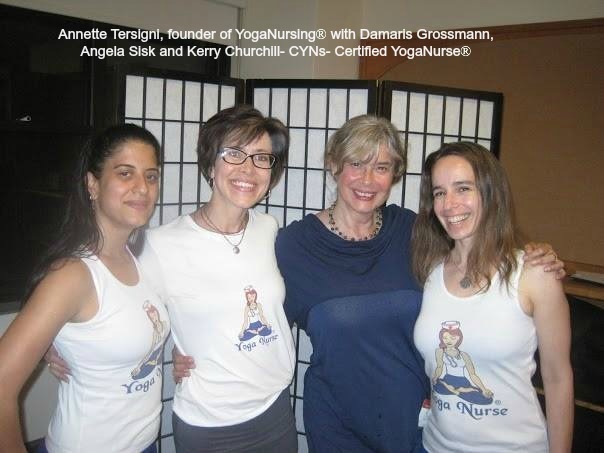 Who is YogaNursing For? How are we Different? 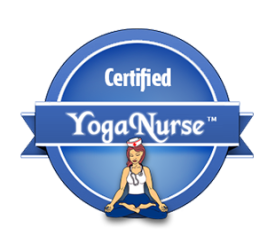 YogaNurse is aligned with + endorsed by Watson’s Human Caring Nursing Theory, Holistic Medicine, and Yoga Therapy. *Our simple remedies prevent and relieve chronic dis-ease, stress and pain from feeling overwhelmed, overworked, and burnt out. 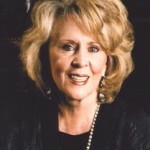 *Practiced by nurses at the Mayo Clinic, nursing colleges, hospitals, the workplace, and community health. 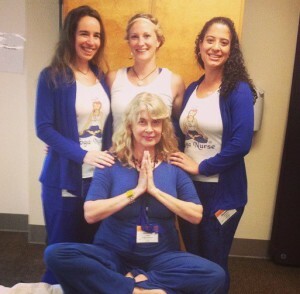 YogaNursing is a SAFE medical yoga model that’s DIFFERENT FROM TRADITIONAL YOGA. *Where getting on the floor is not practical or uncomfortable due to injuries, surgeries inflexibility, excessive weight, or other challenges, our signature model of care is done seated or standing. *Perfect for Nurses and their patients, beginners and seniors. NO yoga experience necessary. Feel centered, serene and radiant! * Yearn to break free from traditional nursing J-O-B frustration. * Need to know how to transition, and how to make it pay. * Our 3 Part ‘Sacred Remedy’ is proven, easy and anyone can do it. * 7 ESSENTIAL stretches + breathing and relaxation techniques. * An up-lifting system you can use everyday at work and at home. Annette Tersigni is a remarkable woman, teacher, yogini and visionary who is transforming the medical industry into a place with heart. Her training is the remedy for the stresses of our modern world. If you have the opportunity to work with her and her team do not pass it up! I just ordered the “Essentials”…I am speechless. It is a must for all nurses particularly those who practice yoga!!!!! 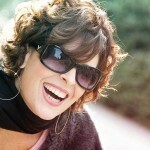 Thank you, thank you Annette! Your work is fascinating and intriguing to say the least. I think it is wonderfully creative and of great service to caring, healing and health for nurses and all whom they touch. 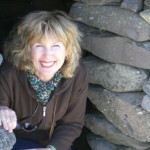 As a Cardiac Nurse Practitioner, I was searching for my niche, (and my tribe.) I finally found it with YogaNursing. 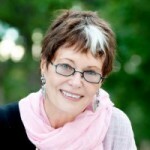 I started with Annette’s Intro training, and soon moved on to become a CYN- A Certified YogaNurse®. It feels wonderful to have an army of other modern nightingales behind me, to finally be spreading the word, love and medical yoga therapy throughout healthcare. 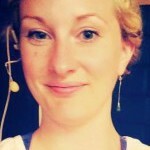 Learn YogaNursing at home from any country in the world. 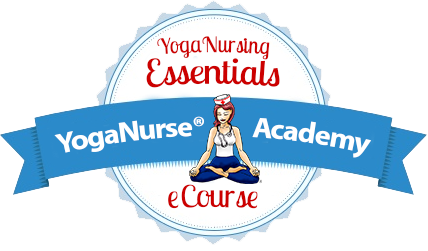 When you Sign Up for the YogaNursing Training Essentials Home Study Course, you will Automatically become a Member of the YogaNurse Academy, where you will have access to our joyful, stress relief training course, the YogaNurse Community, Exclusive Content, Research, Updates & News, Career boosting and Money-Making Opportunities. Speak your language encouragement. With a plan, structure and guidance. 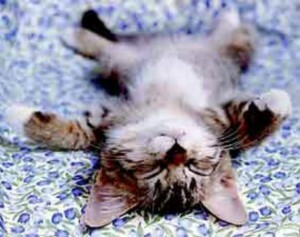 NOTE: No previous experience in yoga required. Certification is for nurses who wish to go beyond the ‘Essentials training’. A variety of branded products are available. Get your t-shirt now for yourself or great gifts for your friends. 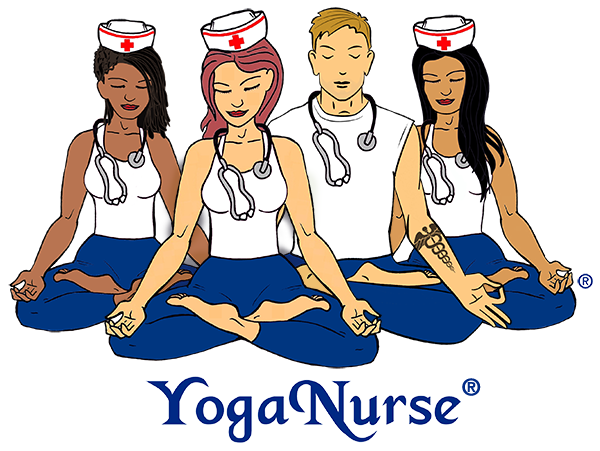 Enjoy being a part of the YogaNurse® tribe and spread the word on the movement that’s changing nurses and health care around the world! Why didn’t my mother teach me this? Relieve SAPS – Stress, Anxiety, Pain and Suffering. 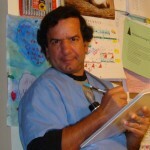 Create health, peace and wisdom for nurses and their patients worldwide. DIVE DEEPLY into your calling. You’re not here just to do a job. You’re here to embody your spiritual mission. 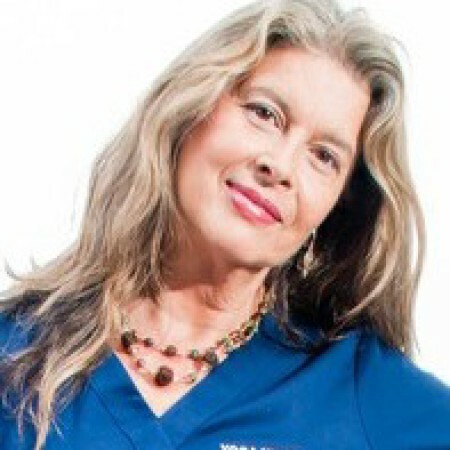 “I have a dream…to expand consciousness in health care.” My name is Annette Tersigni RN (Ter-sea- knee ), certified yoga teacher, wellness crusader and founder of YogaNurse® and the YogaNurse Model Of Care. Is your heart and soul answering yes? Could this be destiny?